Did you the home buyer know your real estate broker performs over 200 activities to find and close your home? Here is why your honest and hard working Santa Fe, New Mexico buyer broker earns his commission, paid for by the seller. Broker establishes marketing Santa Fe Real Estate via – website, blogs, newsletters, Facebook biz page. 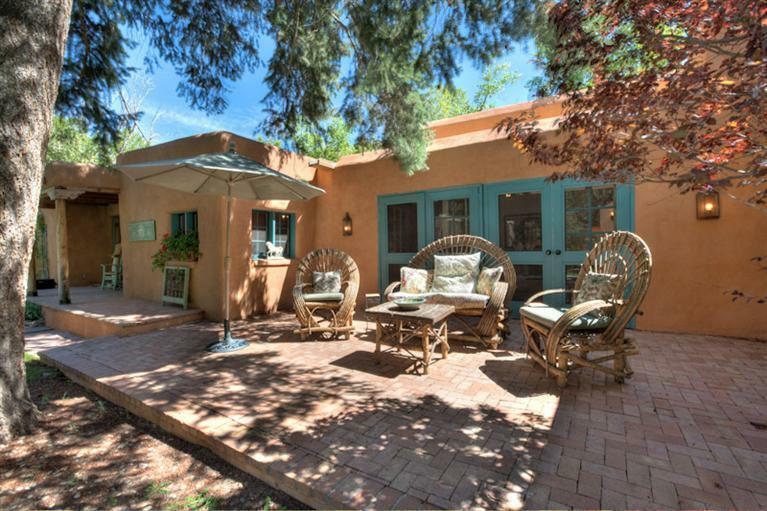 11 Reasons to buy a Santa Fe home. Buyer Researches Internet to ascertain re-location of choice. Buyer then researches internet to find homes in their price range. Broker responds to buyer inquiries regarding the Santa Fe, New Mexico home marketplace. 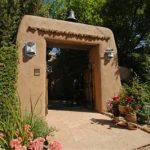 Santa Fe Home listings provided via Santa Fe MLS. Broker begins a long term dialogue to refine the buyer’s search. 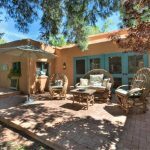 Broker listens carefully to customer, asks the right questions to refine the Santa Fe home search, advises regarding – the state of the market, Santa Fe lifestyle and activities, Santa Fe community and culture. Broker sets up a custom Santa Fe MLS home search for customer, listings and changes in the marketplace emailed to customer on an automatic basis. Buyer saves his Santa Fe homes in Paragon, the Santa Fe MLS system. Broker then schedules showings based on buyer’s profile and budget. Buyer tells the broker to show their preferred listings as well as Broker’s listing choices that best fit buyer’s needs. Showings are in 3 hour blocks. We explore – the neighborhoods, discuss how to network in Santa Fe, discuss the endless activities in and outside Santa Fe. 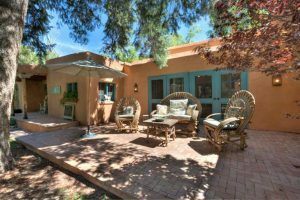 Buyer learns a lot from a 24 year real estate veteran who has deep ties with the Santa Fe, New Mexico community. Showings completed when buyer finds their top 3 choices. I go on a five star system, five being the best homes. A real estate market analysis is then processed for listing buyer desires. We then create on offer strategy before making the offer. Buyer Brokerage signed by buyer. Thus broker only represents the best interests of buyer and negotiates accordingly on behalf of buyer. These duties also include broker duties owed by broker to buyer, established by – National Association of Realtors – NAR, New Mexico Realtor Association – RANM, Santa Fe Association of Realtors – SFAR. Believe me, the buyer will be protected and advised by this buyer broker, at all stages of the buyer process. Offer is written, reviewed by Broker and Client, edits are made. Then offer submitted to Listing Broker. Offer is either – accepted, rejected, no response, counter offer. Counter offer reviewed by buyer broker and buyer. Counter offer either accepted, rejected, no response, counter offer. The ping pong of the offer reaches terms or buyer and seller walk away. During this negotiation process, your 24 year buyer broker uses all skills at hand, to benefit the buyer. Every Santa Fe home buyer must understand there has to be a willing seller and a willing buyer to negotiate a successful contract. Buyer and Sellers agree to contract terms regarding – price, condition & repairs, relocation timing of buyer and seller, timing of contract contingencies. When buyer and seller sign the contract in agreement, the offer becomes a valid contract and all parties must perform in order to close the contract. Purchase Agreement – fully executed contract copies provided to title company, clients, bank. To include – contract, counters, addendum, disclosures required by NAR, RANM, SFAR, City Santa Fe, County Santa Fe. Earnest money deposited at title company in escrow. Proof of Funds – buyer provides proof of funds, cash or loan process. If it is a loan, buyer will perform the many finance steps and finance verifications. All contract documents signed during escrow – appropriate copies always sent to: clients, title office, Brokerage offices, finance. Title Binder – title company reviews and sends to buyer – HOA, covenants, title, assessments, liens. Title office can provide additional title insurance, buyer pays. Home Disclosure – buyer reviews disclosure provided by seller. Buyer reviews and signs other Required Disclosures as required by – NAR, RANM, SFAR, City/County of Santa Fe. Inspections- buyer choose a buyer inspector, detailed report reviewed, repairs identified and requests seller to perform repairs. Waivers, Objections, Resolutions – ORW – This documents controls the repair process. Moving Date – set your movers up at this stage. Buyer pays movers deposit and locks in moving date for their home, moving date for the new Santa Fe home. Critical that buyer understands possession of your Santa Fe home will not occur until – title company records and funds the closing. Only then will buyer receives the keys – unless there is an occupancy agreement signed by seller and buyer. Insurance – buyer applies for homes insurance. Insurance company agrees to insure at closing as will be paid at closing. Finance – financing and underwriting requires due diligence and timely execution by the buyer. Appraisal – Bank underwriting orders a 3rd party appraisal. If appraised value at or higher than agreed purchase price, buyer stays under contract. If appraised value is below purchase price, buyer and seller may negotiate new price or walk away with earnest deposit returned to buyer. Survey – Seller orders and pays survey, as required to title and underwriting. In most cases this is an ILR, but rural residential properties or title disputed properties require a boundary survey. Final Walk Through – Buyer usually runs a final walk thru home with buyer broker, 48 hours prior to closing. Extensions – closing delays can happen, extensions used to change a contingency date or a closing date. Occupancy Agreement – used to occupy a property before closing occurs. Final steps – Buyer is almost home free!!! Closing – closing occurs at the Santa Fe title office or buyer can close long distance with prior arrangements. Possession – only when funding and recording occur, will the buyer be allowed home access and given the keys. Moving – coordinate movers to show up after possession occurs. Give yourself time to clean or upgrade the home before moving in, much easier than working around all your belongings. Services for your home – Buyer will be provided a list of resources for contractors and repair, plus repair tips to maintain your Santa Fe home.